BOGOR, Indonesia (4 September)_Jean-Christophe Castella often asks Laotian villagers to play the role of developers, conservationists, investors or farmers as they huddle around a table-top virtual village elegantly crafted from plaster bandage strips and cardboard. 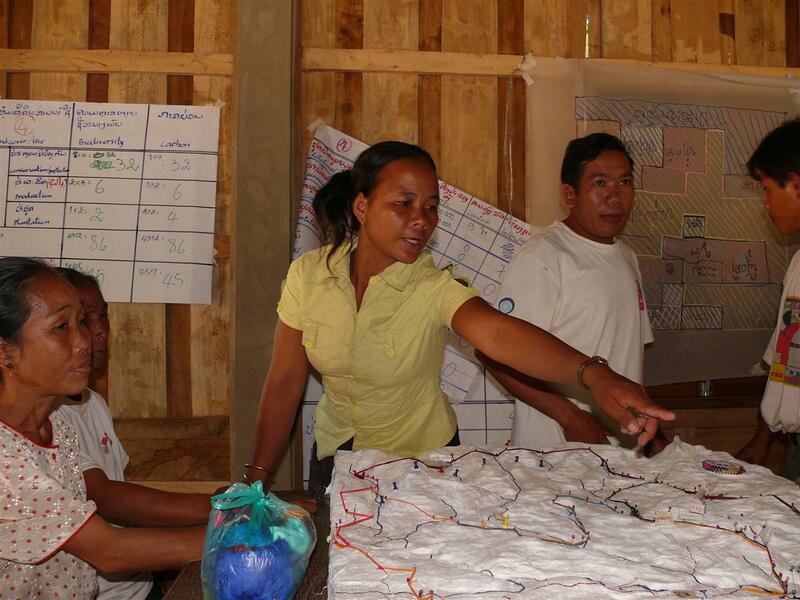 Villagers move bits of string back and forth, negotiating where to clear forests to expand farmland, or where a proposed road would best traverse the landscape. Sometimes a foreign investor, played by Castella steps in and makes a generous offer for a land concession – which is not easy to refuse, the villagers admit. The game is based on a “landscape approach” designed to balance competing demands for food, income, biodiversity and ecosystem services (such as clean water and carbon sequestration) to integrate development and conservation needs. It’s not a new concept, but it is one that is gaining attention as experts call for a holistic approach to rural development to better balance resource extraction with conservation, food security and improved local livelihoods. The approach will be the subject of international attention when more than 1,000 people gather to attend the inaugural Global Landscapes Forum on the sidelines of November’s U.N. Climate Change conference in Warsaw. Scientists have recently proposed a 10-point ‘code of practice’ for managing landscapes, to help policymakers, NGOs, and practitioners working in conservation and development across the world to develop and improve land-use planning policies. What exactly is a landscape? A landscape comprises the visible features of an area of land, including mountains, hills, rivers, lakes, ponds and the sea; living elements of land cover including plants and animals; and human elements including farms, houses, roads, mines, other structures and institutions and their cultural and spiritual values. Different parts of the landscape provide different goods and services and what happens in one part of the landscape has an impact on the other. For example, when forests are cut down, this often has a negative impact on soil quality in the landscape. When soil quality is compromised, this may also negatively impact agricultural productivity. When agricultural productivity decreases and farmer income is impacted, this may lead to increased logging of forests. The aim of a landscape approach is to ensure that all the uses of land and all the users of that land are being addressed in an integrated way. “If you are managing a protected area and are asked to address issues in other parts of the landscape, it is fairly daunting, especially if you are struggling to focus on your own areas of responsibility,” says Terry Sunderland, a principal scientist with the Center for International Forestry Research and co-author of the paper published recently in the Proceedings of the National Academy of Sciences. For his part, Castella, a scientist with the Institut de Recherche pour le Développement, and his team have been trekking around rural villages in Laos since 2010 with a role-playing game in tow. They call it “PLUP Fiction” (PLUP stands for participatory land use planning) and by acting out different roles on a scale 3D map of their land area, villagers learn how different parts of the landscape function together, and how best to manage them the future. Like Castella, other conservation and development practitioners are recognizing that they need to manage beyond their own protected areas, community concessions or logging areas. The 10 guiding principles in PNAS, described below, are not intended as a checklist, Sunderland says, but as a framework to help practitioners and policy makers adopt a landscape approach. In 2003, Halimun National Park in Indonesia was merged with the nearby Salak National Park to create a much larger conservation area. In the process, 100,000 people who lived between the two parks suddenly found themselves living inside park boundaries. “The park rules and regulations outlawed people living, farming or extracting forest resources, obviously causing quite a few problems for those people who suddenly became residents of the park,” Sunderland says. However, with the help of a local NGO, they established a community network organization to negotiate a number of informal policies with park management. “Although they were not able to change the formal rules and regulations, they managed to create space within the boundaries of the rules to sustain their agricultural practices,” Sunderland says. Each surprise is an opportunity for learning, Sunderland says, and can often lead to new understanding and improved management strategies, as well as improving the resilience of local communities to unexpected changes. Developing a landscape approach requires patience, says Jeffrey Sayer of James Cook University and lead author of the paper. Outsiders need to identify the full range of responsibilities of the community and other entities operating within a landscape so they can involve everyone in the decision-making process, Sayer says. When villagers participating in Castella’s land use planning simulations are unclear about the decision-making process, he finds that their plans are abandoned and forgotten. “We are trying to engage them in a learning process so they can become good partners in future negotiations,” says Castella. The success or failure of a landscape approach ultimately depends on how well people’s concerns are acknowledged and how well trust is built, Sunderland says. Tradeoffs are inevitable when different people with different interests vie for usage rights to the same piece of land, says Intu Boedhihartono, Senior Lecturer at James Cook University and another of the paper’s co-authors. Boedhihartono has been encouraging nomadic pastoralists, cattle ranchers and mountain dwellers across Africa, Asia and Latin America to draw and paint their visions of the future as a means to negotiate trade-offs. “Just as people can verbalize their thinking, they can also visualize it,” she says. The images are created in a group situation so that different people with different backgrounds, ethnicity, gender or occupation, can work together to study the complexity of a problem. This is a critical but neglected field within environmental management, Sayer says. Communities living in Central Africa’s Sangha tri-national landscape for example have been working with “throw away computer models” – built in a short time to simulate possible trends in environmental and livelihoods outcomes. Using the models to predict real-time changes, participants are able to see the potential impacts of different conservation or development interventions. “It serves as a reality check of what may happen when different interventions take place,” Sayer says. However, it’s essential that there is strong facilitation of the modeling process, keeping the focus on “models as stories” rather than models becoming the end in themselves. “Models are most important for facilitating brainstorming and discussions, not as a predictor of the future,” Sayer says. Working at the landscape level inherently changes how practitioners should assess the outcomes of their interventions, Sunderland says. 1: Continual learning and adaptive management. 2: Common concern entry point. 6: Negotiated and transparent change logic. 7: Clarification of rights and responsibilities. 8: Participatory and user-friendly monitoring. Donors and NGOs often focus on the delivery of planned project outputs, he says, such as ‘how many hunters were apprehended’. Changing the way institutions have been operating for many hundreds of years will be a challenge, the authors of PNAS paper acknowledge, but, Sunderland says, it is time that policy makers consider a much longer-scale perspective and period of investment in these landscapes. Changes are already afoot in Laos, Castella says. With additional reporting by Katherine Johnson. Following extensive consultation, the 10 principles were noted by the Convention on Biological Diversity (CBD), and will be presented in November at the Global Landscapes Forum. For more information on the issues discussed in this article, please contact Terry Sunderland at t.sunderland@cgiar.org. 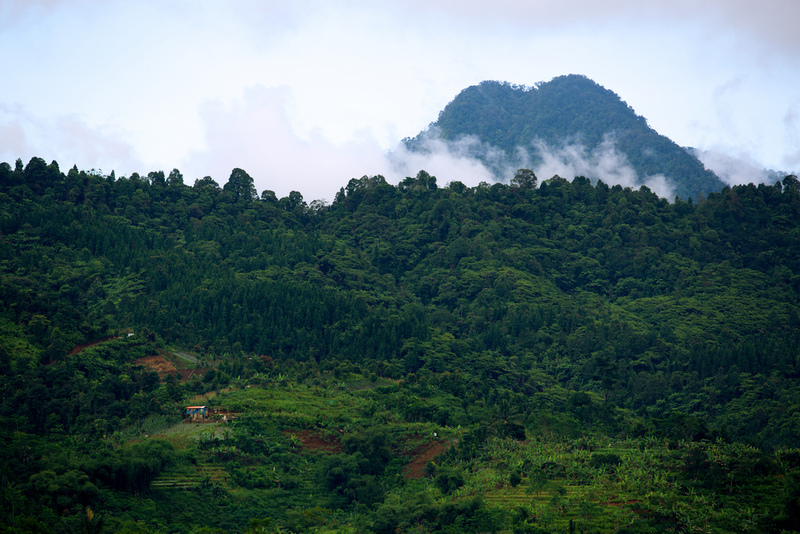 This research forms part of the CGIAR Research Program on Forests, Trees and Agroforestry.